New York Times and USA TODAY Bestselling author of Science Fiction, Urban Fantasy, and Paranormal Romance brings another action, adventure, and suspense-filled story to transport readers out of this world. When Abby creates a set of Easter Eggs for each Dragonling she has no idea she is about to start a new tradition on Valdier. 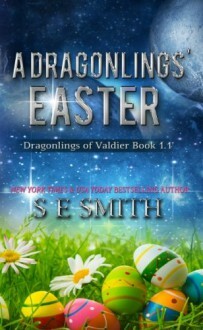 What happens when the men and the dragonlings take the hunt for the colorful eggs to heart? Laughter and a whole lot of crispy eggs!